IT By Design is a full service IT solutions provider based in Manhattan with offices in New Jersey, a global Network Operations Center, and Data Centers in New York and Arizona. Established in 1998, the ITBD support model has been driven by our customer-centric philosophy and a proactive approach to IT services. As true consultants, we’re about making sure that your technology moves your business forward, rather than holding your potential back. Our Live Help Desk is available 24x7x365, enabling our certified engineers to take care of the health of your network around the clock. From preparation to implementation to post-project support, our team will design solutions specific to your business needs. IT By Design’s mission is to help you efficiently and effectively manage your technology so that you obtain the greatest ROI of your investment. Whether it’s helping with day-to-day IT issues, upgrading to the latest version of Exchange or taking your network into the cloud, we are your trusted resource for ALL things IT. Response Time: Live Help Desk and up to 4 hour maximum urgent onsite support SLA. Partners: Enterprise Partners with VMware, Dell, HP, Microsoft, Cisco, IBM, Sonicwall, and more. IT By Design’s 24x7 live helpdesk provides MSPs with around the clock support. It is a fully brandable solution that gives you the support you need, when you need it, by a peer that understands how to effectively deliver it. It’s 2AM, do you know what your servers are up to? 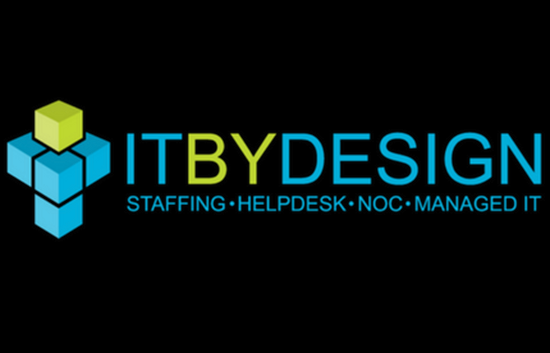 Let ITBYDESIGN answer the call with a proven global service delivery model that supports your clients’ most critical needs. When a missed call can mean a client lost, you can’t afford to take any risks. All offerings are 24x7 and defined by the service provided. Offerings can be customized to meet the specific needs of each of your clients. Hire a dedicated engineer that works DIRECTLY with YOUR team to service your customers. We provide dedicated, MSP trained, remote engineers that become an extension of your team. IT By Design is a global IT solutions consultancy specialized in providing custom IT support including a 24x7 live helpdesk, IT Staffing, and Professional Services. We work with our customers to create IT support solutions designed specifically to fit their environment and budget.